Alpharetta, Ga., May 2, 2018 --- Solvay, a leading global supplier of specialty polymers, announced today that its biocompatible Radel® polyphenylsulfone (PPSU) was the material of choice for key components of the surgical instrumentation for BioStable Science & Engineering’s HAART 300 Aortic Annuloplasty Device, the first internal annuloplasty device designed specifically for aortic valve repair. Aortic insufficiency is a condition in which blood flows backwards into the heart because distortion of the three dimensional shape of the aortic valve prevents the valve leaflets from closing properly. BioStable’s HAART 300 device enables surgeons to reshape and stabilize the aortic valve base to help restore normal valve function and avoid valve replacement. Machined from extruded Radel® R-5500 rod stock, the kit’s polymer sizers allow surgeons to quickly measure the dimension of a patient’s aortic valve leaflets and select the correctly sized HAART 300 Aortic Annuloplasty Device to properly close the valve. The thermal stability, chemical resistance and excellent hydrolytic stability of Radel® PPSU make it an excellent choice for medical devices requiring repeated disinfection and steam sterilization. 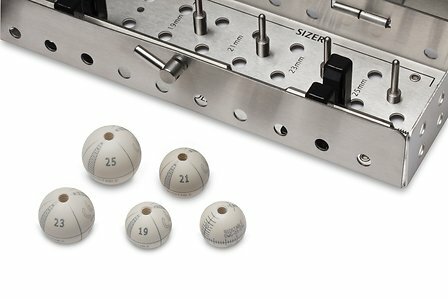 Parts made from the material can withstand over 1,000 autoclave cycles without significant loss of mechanical properties. BioStable’s HAART 300 Aortic Annuloplasty Device surgical kit is commercially available in the U.S. and Europe.